1.) Be friendly and kind to others. Contact with Rasenravager, Hydeau or CokSevmistim in game. Or just join via the guilds section. Last edited by Rasenravager; 01-29-2019 at 11:36 PM. 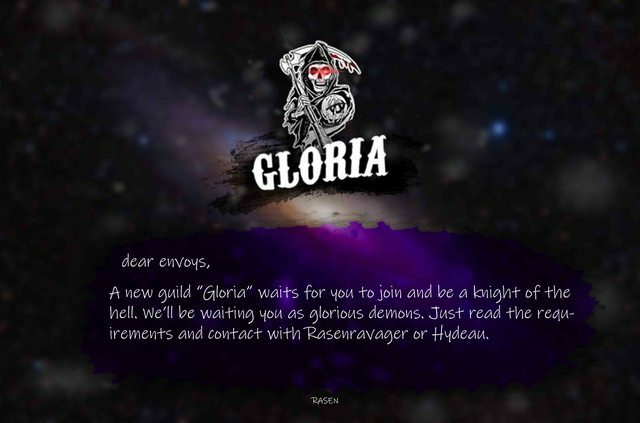 A new guild! \o/ Good luck and may it be a lively family! Thank you Jewel! I appreciate it.